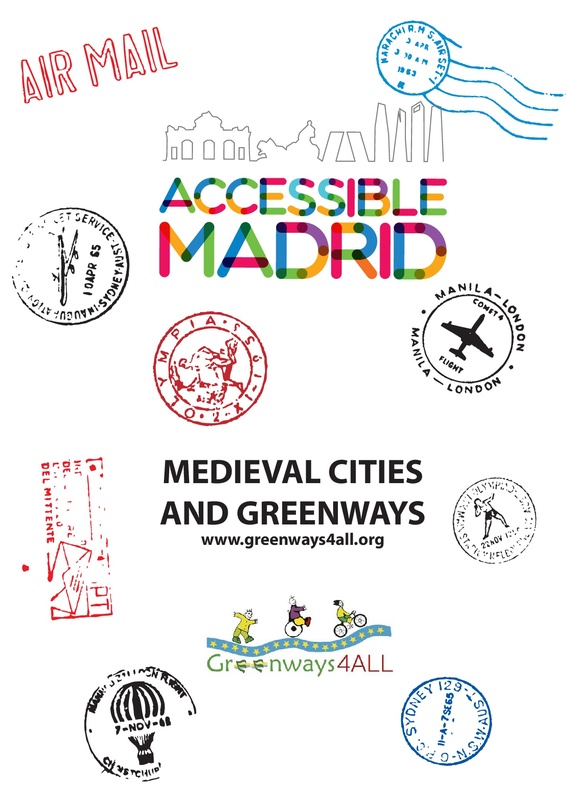 Here you will find proposals of trips to enjoy accessible greenways in Europe. 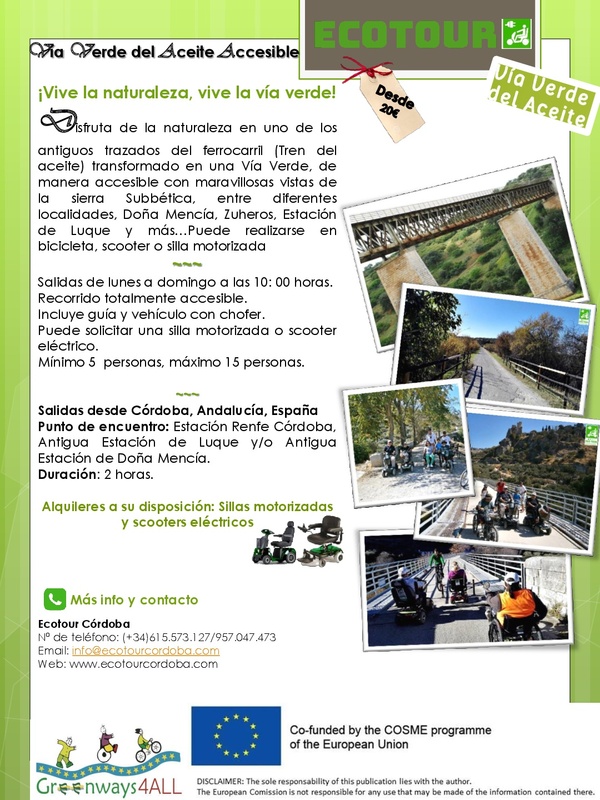 Four accessible stages along the Olive Oil Greenway of Córdoba (Subbética Mountain Range). 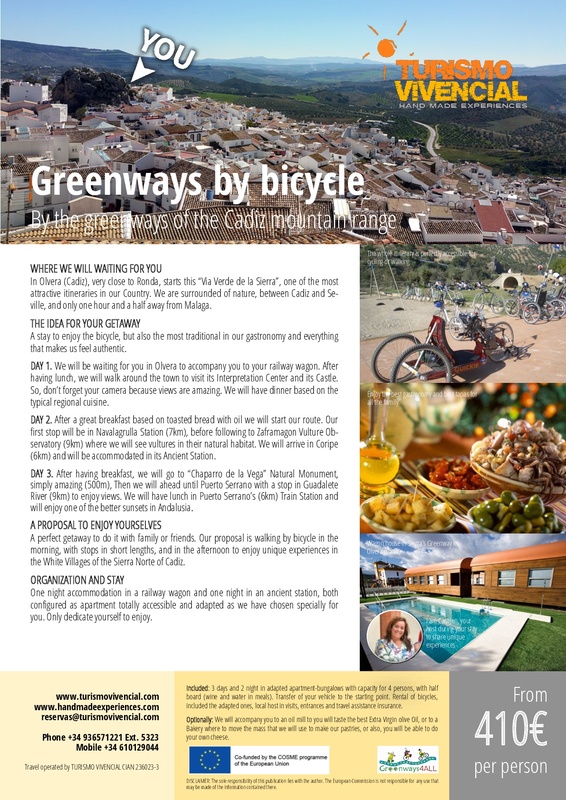 Visiting Ronda, Olvera, Setenil de las Bodegas and La Sierra Greenway. 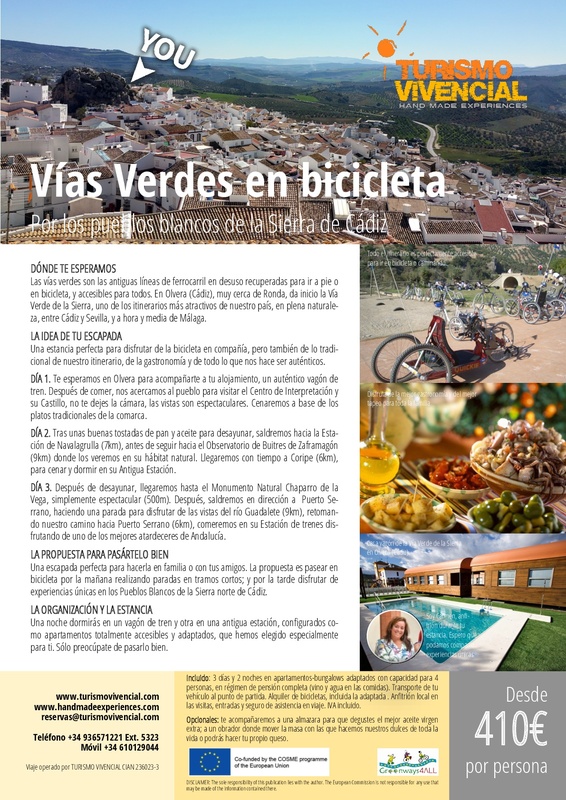 Between the towns of Puerto Serrano and Olvera. 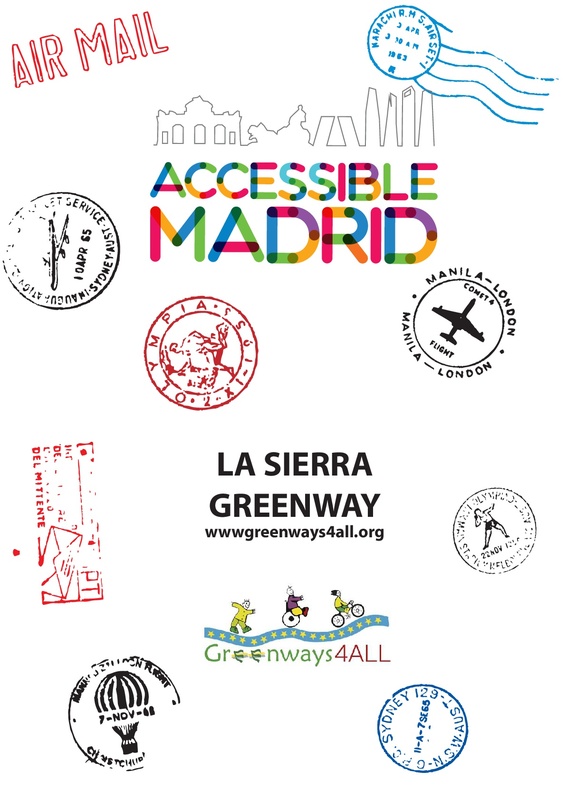 La Sierra Greenway, whose route was never crossed by any train, runs for 36 km at the foot of the most southern mountains of the Iberian peninsula. 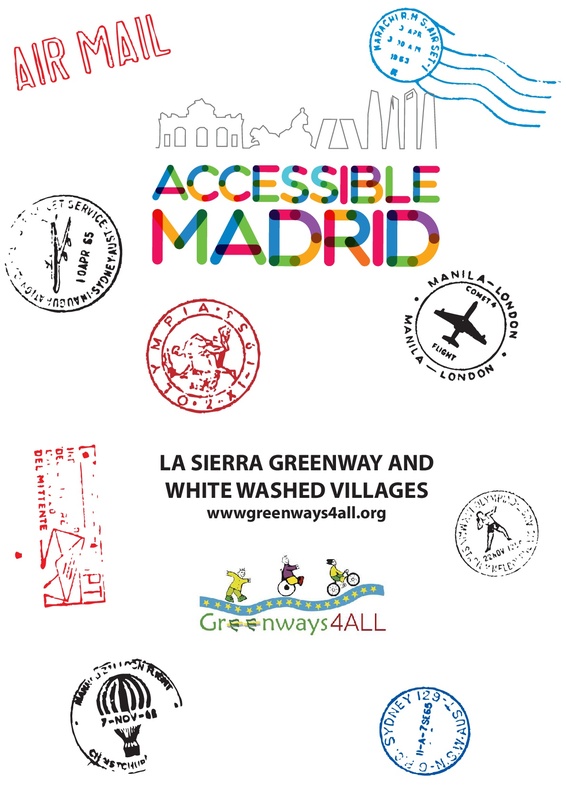 The greenway passes through such spectacular places like the nature reserve of griffon vultures -Peñón de Zaframagón. 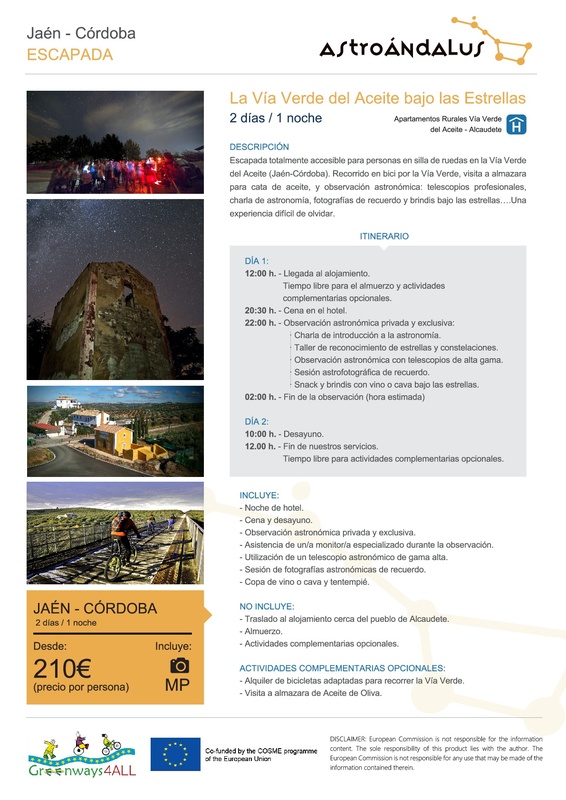 Olive Oil "Vía Verde" (Jaén-Cordoba) tour by bike and astronomical observation: professional telescopes, astronomy explanations, souvenir photos and toasts under the stars ... An Unforgettable Experience! 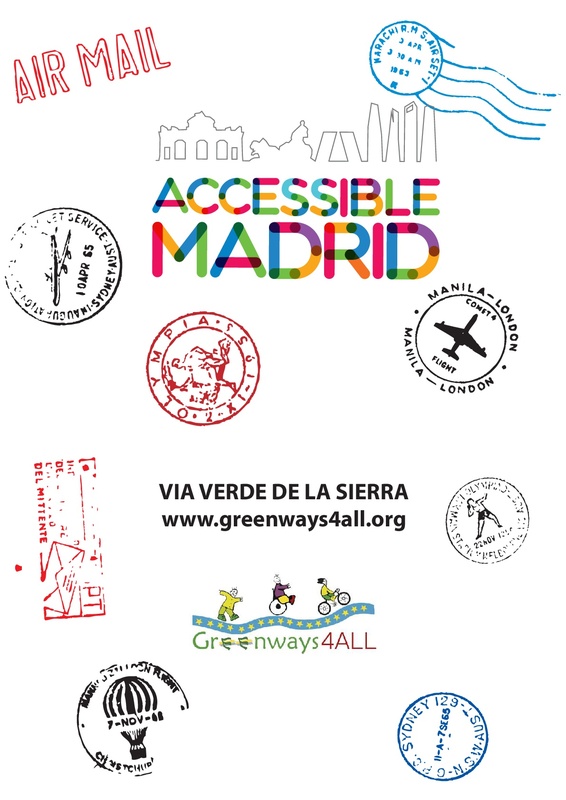 Live the nature, live the greenway! Enjoy nature in one of the old traces of the railway (Train of the oil) transformed into a Greenway, in an accessible way with wonderful views of the Subbética mountain range, between different locations – Doña Mencía, Zuheros, Luque Station and more…It can be done by bicycle, scooter or motorized chair! 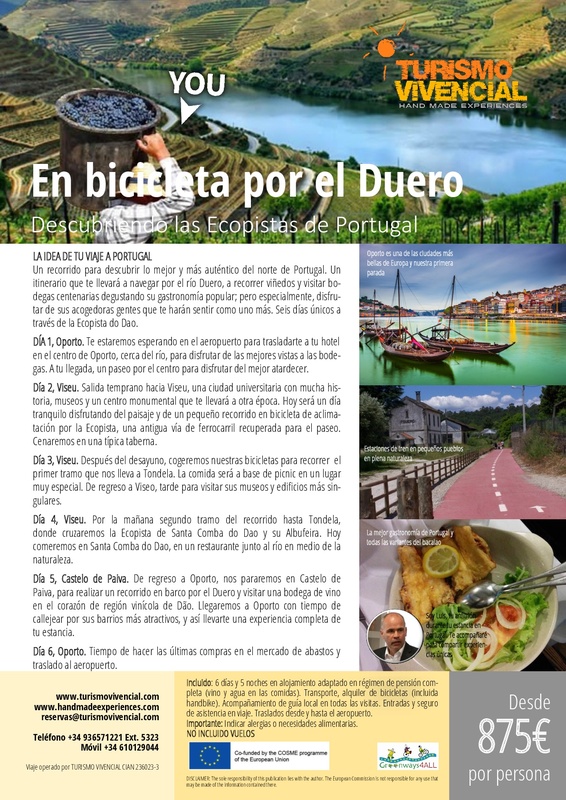 Discover two of the best preserved medieval cities in Spain and enjoy a relaxing experience on the renewed Dão greenway in Portugal. 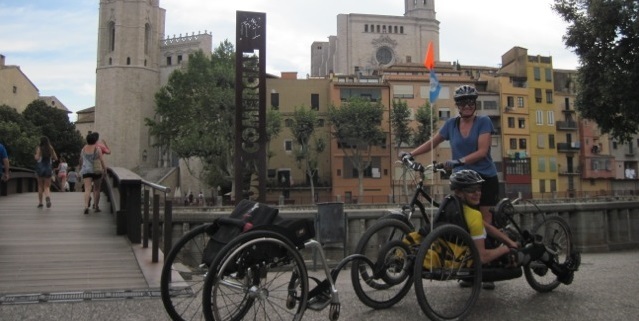 This is a four-day trip from Madrid to Avila, Salamanca and Viseu - ecopista do Dão. 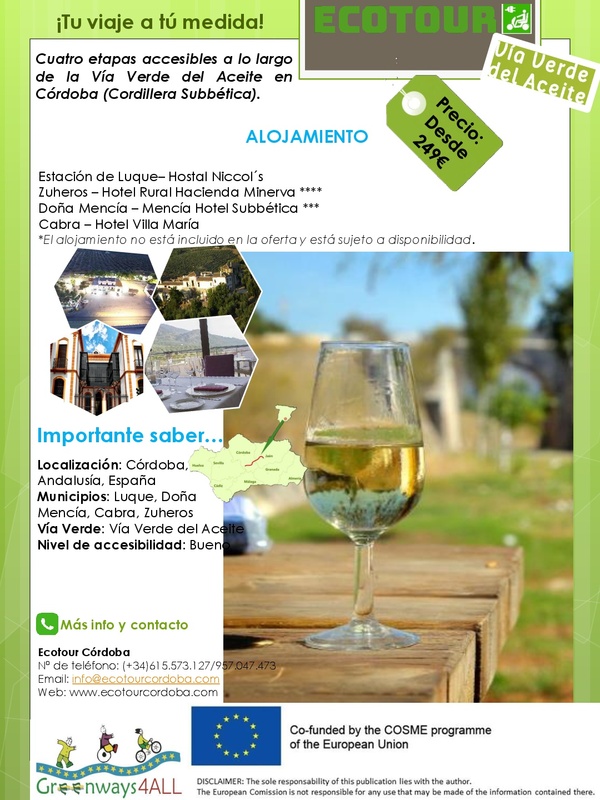 A perfecto tour to discover the most authentic in Andalusia. Six days to roam Malaga, Ronda, Jerez de la Frontera and Sierra de Grazalema Natural Park. 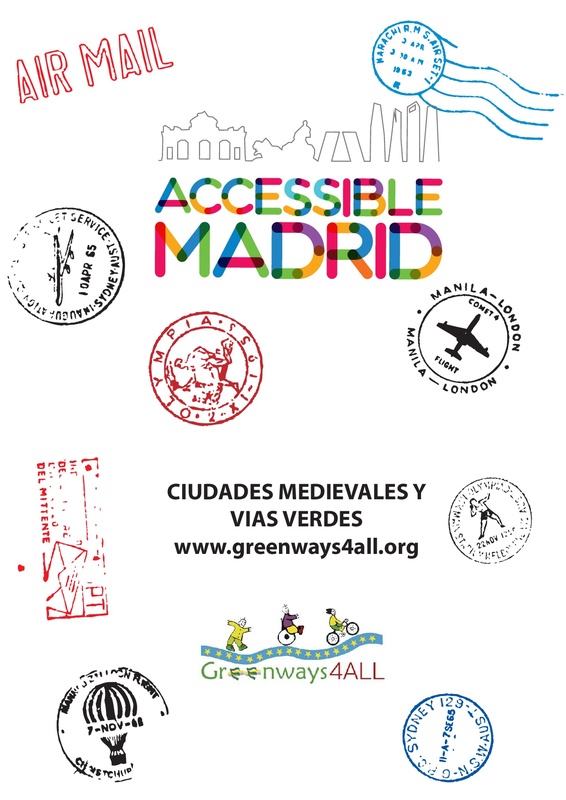 You will enjoy our gastronomy and our White villages’ culture, with Greenways as a unique en-clave. 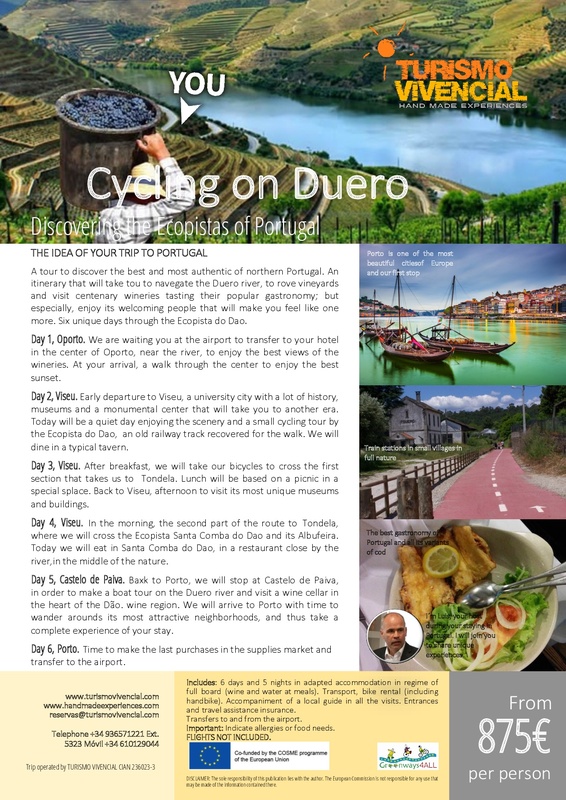 Six unique days through the Ecopista do Dao. An itinerary that will take tou to navegate the Duero river, to rove vineyards and visit centenary wineries tasting their popular gastronomy; but especially, enjoy its welcoming people that will make you feel like one more. 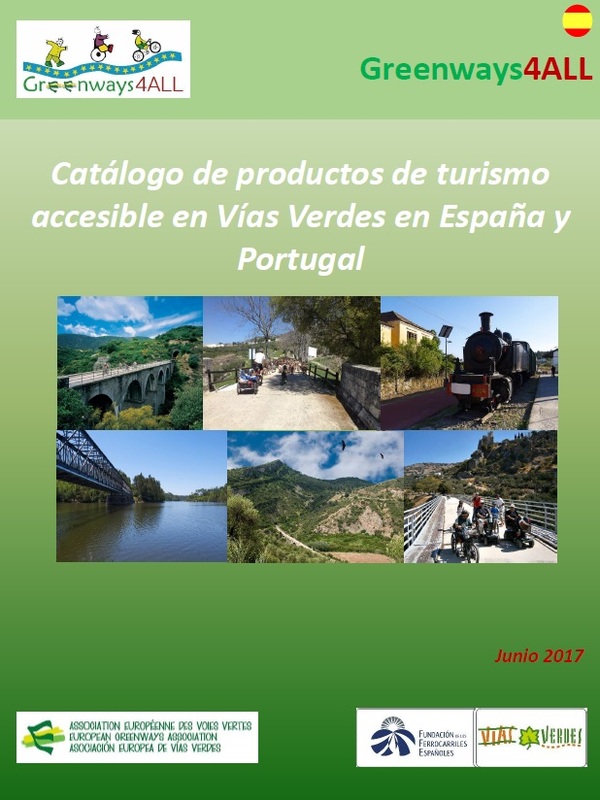 Check out the catalogue and choose your trip!